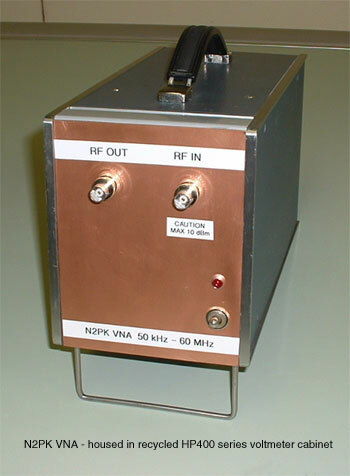 "This is a homebrew VNA capable of both transmission and reflection measurements from 0.05 to 60 MHz, with about 0.035 Hz frequency resolution and over 110 dB of dynamic range. 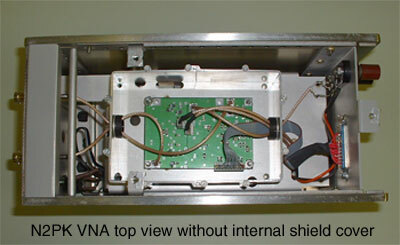 Its transmission measurement capabilities include gain/loss magnitude, phase, and group delay. Its reflection measurement capabilities include complex impedance & admittance, complex reflection coefficient, VSWR, and return loss. 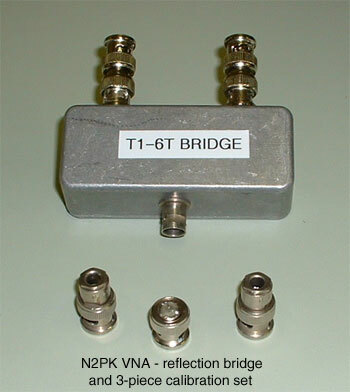 Unlike other impedance measuring instruments that infer the sign of the reactance (sometimes incorrectly) from impedance trends with frequency, a VNA is can make this determination from data at a single frequency. This is a direct result of measuring the phase as well as the magnitude of an RF signal at each test frequency." He has made a wonderful contribution to home experimenters with this excellent circuit design. The quality of supporting documentation is astonishing. 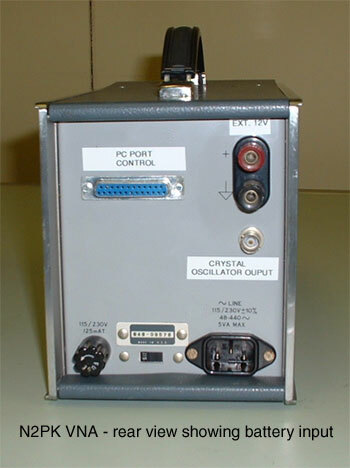 PC boards are available, including Windows software developed by Ian G3SEK, Greg W8WWV, and others. See Paul's website for details. Steve Smith, G8LMX influenced my decision to use a recycled HP equipment cabinet. These can remove much of the work and expense when constructing a home-made project such as this one. 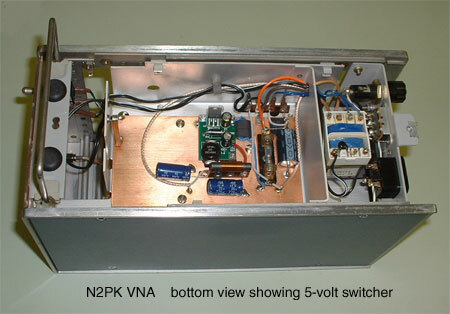 There is enough room inside this cabinet to add later the optional dual detector or even to place an internal NiCad battery pack for field operation. This short video shows one method on how to solder tiny closely spaced surface-mounted IC pins. You solder across all pins, then reheat and remove most of the solder with solder wick. The solder between the pins comes off, and a very fine layer remains on the metal parts. Works like a champ. Some say this method has problems, but it works for me. I first glue the IC down. 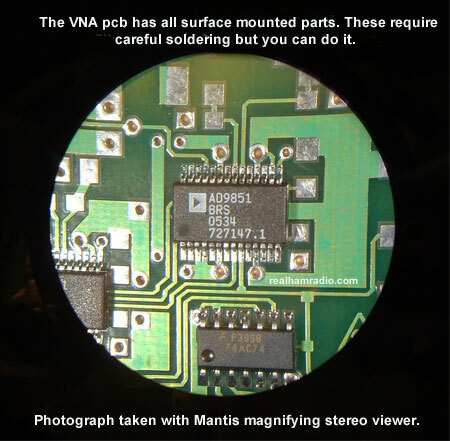 Be certain of proper alignment before soldering. 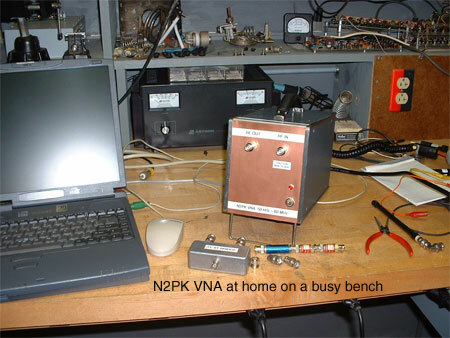 The photo below illustrated the result when I soldered with this method on my version of the N2PK VNA.